Mr. Humphreys maintains an active litigation practice between Knoxville, Tennessee, and Roanoke, Virginia. He has tried numerous cases in the United States District Court for the Western District of Virginia and the Eastern District of Tennessee, and in Tennessee and Virginia Circuit Courts. He is routinely associated as co-counsel in litigated cases with attorneys in other law firms. Mr. Humphreys is the former chairman of the Insurance Coverage Section of the Virginia Association of Defense Attorneys. James N. L. Humphreys is a partner in the firm’s litigation section, concentrating in personal injury litigation, wrongful death litigation, nursing home litigation, medical malpractice litigation, errors and omissions litigation, and commercial litigation. 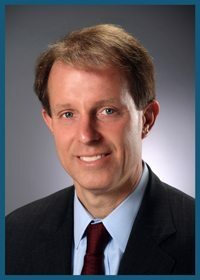 Born in Abingdon, Virginia, and raised in Wise, Virginia, Mr. Humphreys practiced law in Abingdon, Virginia, before joining the firm in 1990. Mr. Humphreys serves on the Board for the University of Virginia’s College at Wise. He also has his private pilot’s license.